Saint Martha was the aggressive middle sister to her siblings Lazarus and Mary. She was a friend of Jesus’. In the bible she is known for being witness to Jesus’ resurrection of her brother, Lazarus. 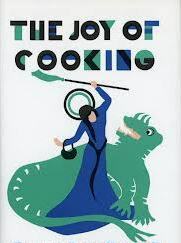 Jesus also shocks her out of her anxious fretting about meal preparation (she is now the patron of cooks, waiters and waitresses). In Martha we see ourselves — worried and distracted by all we have to do in the world and forgetting to spend time with Jesus. According to legend, St Martha moved to France following Jesus’ death. Her new town was having problems with a dragon named Tarasque. Tarasque was half beast and half fish with a head like a lion, tail like a serpent, and shell like a turtle. Saint Martha found the beast and charmed it with hymns and prayers, and led back the tamed Tarasque to the city. The people, terrified by the monster, attacked it. The monster offered no resistance and died there. Martha then preached to the people and converted many of them to Christianity. 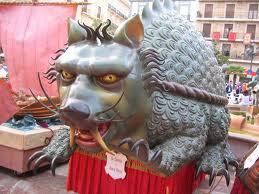 The story of the Tarasque is also very similar to the story of Beauty and the Beast and King Kong. The monster is charmed and weakened by a woman and then killed when brought back to civilization. The dragon may be a metaphor of the hostile pagan world that frustrated the early Church. St. Martha, in this respect, represents the Church that boldly challenged the dark powers of fallen gods. Also, we can understand the dragon as a metaphor for all that is dark within ourselves and Saint Martha brings us to the light. The Tarasque is one of the statues of the Corpus Christi procession of many Mexican cities, including San Miguel de Allende. He also appears at various other festivals through out the year. A seaside town in Spain honors St. Martha as its patron saint and celebrates with a festival annually in her honor because St. Martha came to the rescue of the town by causing a flash flood which destroyed attacking pirates in the Middle Ages. 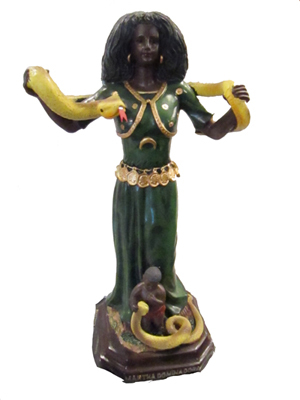 There is also a dark skinned version of St. Martha pictured with two large snakes (instead of a dragon). This image formed in the Caribbean during the colonization of the Americas, as the dragon version of Saint Martha was less relatable. This St. Martha is part of a voodoo novena tradition of nine Tuesdays (Martha’s special day) of red candles to destroy obstacles in your life and attract love.